The total media ad spending share in the US has tipped in favour of mobile, accounting for 33.9% of the total spend. Digital advertising as a whole takes 69.9% of all spend, but 2018 is the first to see mobile surpass TV, which is thought to be driven by display ads on mobile. The ‘mobile first’ strategy of many companies has seen great improvements in the surfacing of product information and reviews, which leads to higher conversions from search ads. The trend is set to continue, with experts forecasting that mobile will account for a huge 47.9% of ad spending by just 2022. 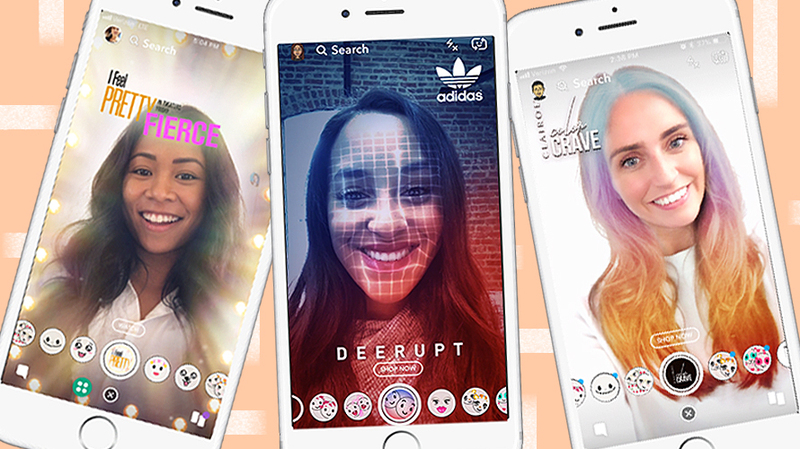 Snapchat has introduced a new feature that allows brands to leverage the augmented reality filters that are so popular with users, by adding a button that allows users to click-through to the company’s website. The new button can be added to any AR lens on the app, and can direct users to a product page where they can complete a purchase, as well as sending to a page to watch a trailer, or a CTA to install an app. This has so far been picked up by companies such as Adidas, Clairol, King (who own Candy Crush) and STX Entertainment (who are responsible for the AR lens for Amy Schumer’s forthcoming ‘I Feel Pretty’ movie). The Shopper Experience Index has performed research into how consumers engage with over 2,600 websites in the Bazaarvoice Network, and they have discovered that visual content in the shopping experience sees an 111% increase in conversion rates, and a 180% lift in revenue per visitor for brands and retailers. The research also looked into what brands and retailers are focusing on for the next two years, the most common response was to integrate social media and online shopping (81%) with two-thirds of brands saying that using their customer pictures and video content (or consumer generated content, CGC) was a priority. Visual CGC is thought to improve the shopping experience, with 80% of brands saying that it increases the discoverability of their products and 88% believe that it increases brand trust. Recent developments, such as the introduction of shoppable Instagram posts, make visual CGC an even more important part of a marketing strategy. To acquire new customers, brands would use a wide-spread campaign to speak to the masses. To build or reinvigorate relationships with existing customers, brands would use what they knew about their customers to target a tailored message. In our current digital climate, customer acquisition and retention have merged somewhat (thanks to ad-blocking and the ease of opting-out from communications), meaning that brands must do both simultaneously. The way to do this is to focus on creating content that is relevant to the needs and desires of your target audience/customer base, rather than mass marketing messages that will mostly fall on deaf ears. Some brands are using their customer data to create a targeted CRM strategy that will send the right message, in the right format, at the right time. Another strategy sees brands segment their target audience/audiences in order to deliver a very specific message that is highly relevant to each segment of their consumers. This can be an effective strategy because these specific campaigns will reach the right people, at a lower cost and with measurable sales impact. Identity resolution is a tool that will offer help when trying to compile data about your consumers, which in turn will help to create relevant content that results in more successful marketing. Identity resolution protocols should be installed across the company so that it can build a clear picture of your customer by collecting and analysing data across many sources – from all devices, offline databases and third-party databases. A well managed (and well understood) identity resolution tool will give brilliant insights into your customers at specific moments in time, which is key to joining ‘mass reach’ acquisition and excellent customer retention. Behavioural science has informed advertising since its very inception. But having been around since the dawn of time, how relevant does it remain? Let’s take a look at some of the principals that are most relevant to advertising in the digital era. 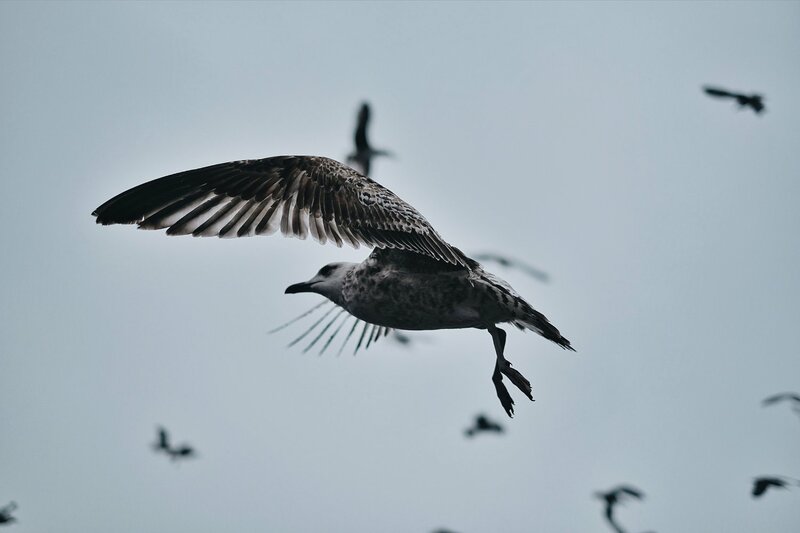 One of the fundamentals of behavioural science is that there is an unconscious and conscious mind – or system 1 and 2 – each of which is activated by different stimuli. System 1, or the unconscious mind, is the reflexive brain that has automatic or default reactions. This is built on preconceptions, deeply rooted desires and gut reaction. System 2 is the conscious mind, that incorporates learned knowledge and rational, deliberate thought. System 2 is triggered in the presence of new or complex information. Marketers should appeal to system 2 at the early stages of a campaign, presenting consumers with the information that they need in order to make a rational decision (and a judgement that the new brand/product is superior). Clear demonstrations of a product and its features will inform and convince customers in their system 2 mode. Once a product has been introduced, strategies to appeal to system 2 are redundant, and can be perceived as tiring by audiences, who lose interest in these messages once the information has been absorbed. Try to decrease the complexity of the brand message in order to reach the automatic, reflexive system 1 mode. Create simple, concise and clever graphics that make decision-making easy, visceral and instinctual. The information-overload that Simon predicted, has resulted in a mistrust of brands and their adverts, meaning that their messages are ignored or, at best, cynically consumed. To combat this ennui, brands must speak with conviction and purpose (beyond their own profits). Showing an awareness of the social role that the brand has can build trust with consumers, who actively reward brands that have a clear sense of purpose. Adverts that allude to the brand’s history, with nostalgic or old-fashioned imagery, can successfully emphasise the brand’s philosophy and their long contribution to society. It is possible to express authenticity and a brand’s core beliefs by more abstract, clever or humorous means – creating adverts that play on the brand’s ethos, whatever that may be. The Regulatory Fit Theory explains that decisions are ultimately motivated by one of two reasons – either seeking pleasure or avoiding pain. Finding pleasure or avoiding pain define our choices, so marketers would do well to appeal to one or the other. Some brands and products are created for the ‘pleasure-seeker’, so messages that show how pleasure, enjoyment and success can be found through the product, or that speak to the dreams and desires of the consumer will be well received. Brands that secure customers from danger, loss or unpleasant experiences should emphasize these points – making sure to come across as reliable, trustworthy and committed. If it is not immediately obvious which of the two strategies your product should emphasise, then market research will help to define what consumers most strongly associate with the product. Understanding whether your product should appeal to the conscious, rational mind or to the impulsive unconscious will make it easier to create campaigns that feel right to the consumer.